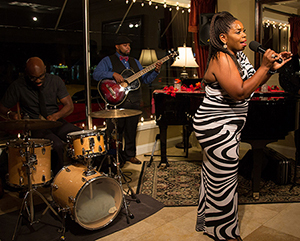 The Winter Park Playhouse, in collaboration with Maria Olivia Bryant Inspires, will present the 3rd of the new quarterly cabaret Series, Expressions: A Celebration of Voices in African-American Music. This popular quarterly Series features a variety of professional African- American musicians and artists performing in a one-hour cabaret format. These cabarets have limited seating and sell out quickly so get your tickets today!